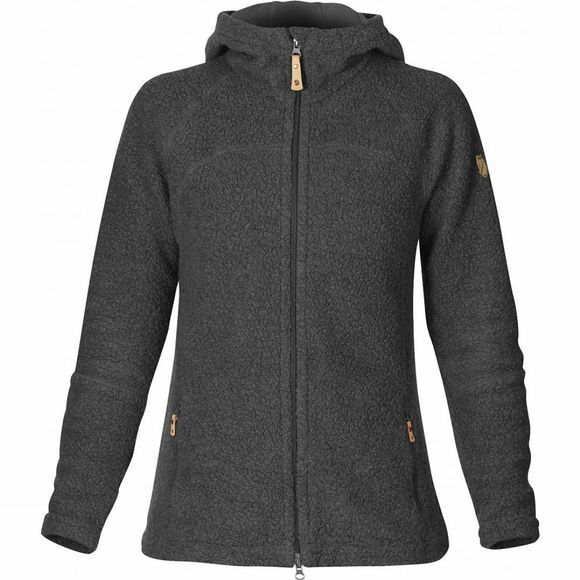 The Fjällräven Women's Kaitum Fleece is a comfortable fleece with snug hood and rippled surface. It is made from a functional wool blend that combines the temperature-regulating properties of wool with the durability of polyester. It can be worn either as a warm, moisture-wicking mid layer under a shell jacket or when relaxing after a trek. The snug hood has a microfleece lining that is soft against your skin.